After five weeks I finally finished redoing Kailyn’s bedroom. It seems when it comes to room makeovers I’m always over confident in the amount of time it will take me. Especially since I thought I could have Kailyn’s room done in one week of evening work. But every time I finish a room, I look around and realize that over 95% of the furniture I own is hand-me-downs. I’ve come a long way in the past decade. You see, one of my worst financial mistakes was financing furniture when I was first on my own. I was so wrapped up in having the “perfect” living room set that I ran to Rent-2-Own and got a couch, love seat, coffee table, and lamps on weekly payments. I paid on that set FOREVER. In the end I probably spent thousands of dollars on something I could’ve purchased for $900 at an outlet furniture store. Being the cheap one in the family can really pay-off. I’d say a good 90% of my furniture consists of hand me downs. The other ten percent would consist of one chair and one TV stand I bought and a second hand hutch I refinished. And guess what? It’s all nice. Unfortunately I couldn’t get her entire room in the pic but every single piece of furniture in here is from someone else. The dresser pictured was given to me by my Grandpa. The bed was left by an old roommate of Jamie’s. And not pictured are a dresser and toy box that were Jamie’s as a child. Even the big horse on the bed and the Christmas tree in the corner were second-hand from family members! I like to refinish furniture. It’s just fun taking something you kind of like (or don’t like at all) and putting your own spin on it. Plus refinishing is pretty darn easy. 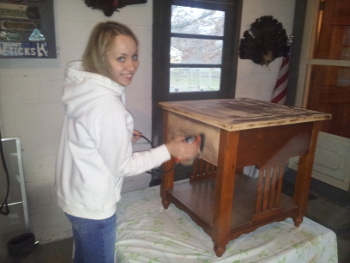 I used to be intimidated by it but trust me – if I can refinish furniture pretty much anyone can do it. A $30 hutch from an auction that was once absolutely hideous but now one of my favorite things that I own. Coffee tables and end tables in the living room given to me by my old boss. A railroad bench I found in the garage when we moved here. I also have a couple other projects I need to work on which includes a dining room table my Dad gave me that was once my great grandmothers and a dresser/bar thing-y (I don’t know what to call it) that was also left here when we moved in. 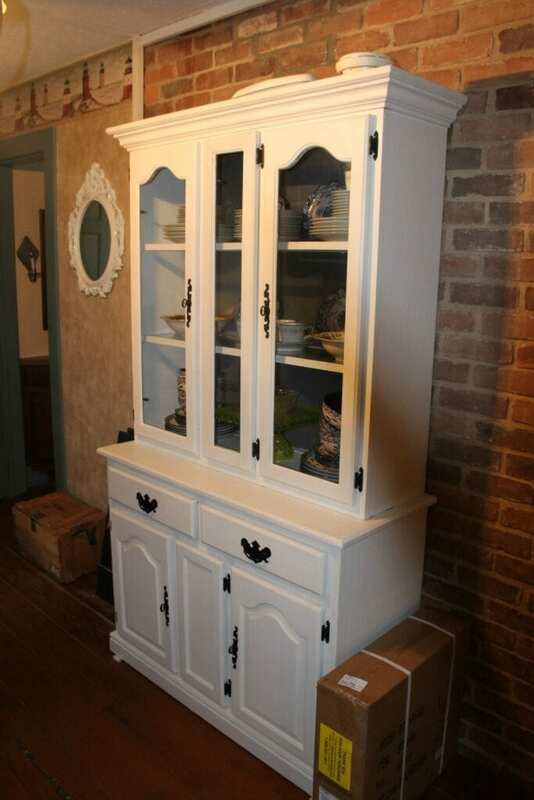 A $30 hutch that was refinished. Even all the dishes inside were given to me by family members! If you don’t have friends or family members trying to unload their old stuff on you then shop second-hand. You can find unique items that are high quality but lower in price than the brand new stuff. While I didn’t have to purchase most furniture second-hand I did score great deals on all of my animal stuff by buying used. No matter what style of décor you like you can find ways to make second-hand work for you. You might have to use a little creativity, but that’s the fun part 🙂 Also, your wallet with thank you. I promise. 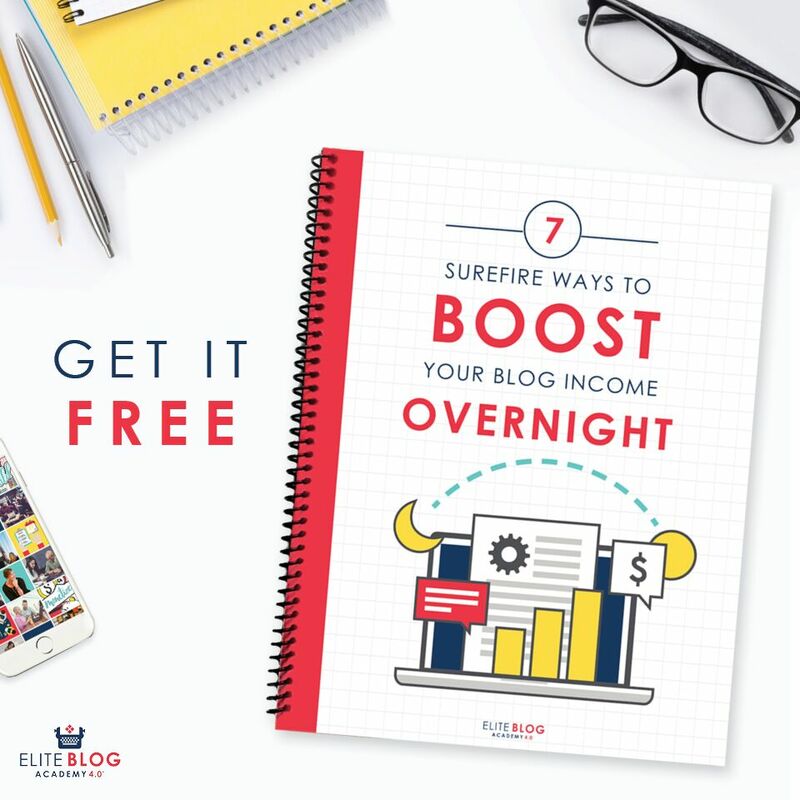 Previous Post: « Can You Get Paid to Post Links Online? I too like getting used furniture and refinishing it to make it appear newer. Putting my personal touch on items completely takes away the “used” appeal of it and makes it personable and heart warming! In the 1950’s and older , furniture was made with wood – not particle board and laminate! Recently, I bought a wood dresser for $7 at the thrift store. I’m still working on it. It is a fun project! My wife and I have been married since 2002 and we just bought our first kitchen table set a few months ago! We had gone through 3 different hand me downs over the years. I needed this post. Right now I desperately need a new couch and I really should just go second hand and save the money! The hutch looks great! I like to look for free or cheap things to refinish too.